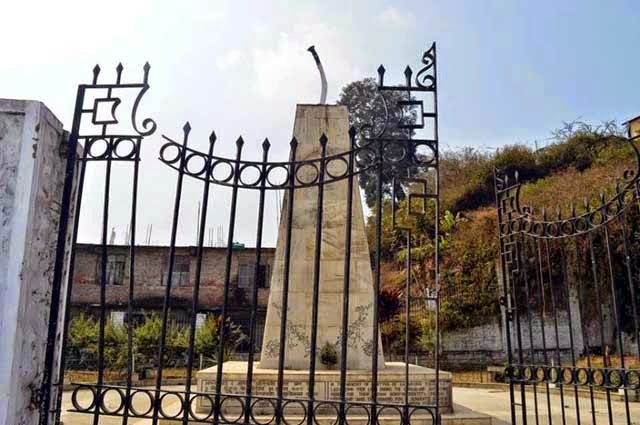 Kalimpong: A monument Saheed Park built in memory of brave Gorkhas who laid their lives during the agitation of Gorkhaland of 1986, has been reportedly destroyed by the hoodlums on February 20. The security guard was unavailable at night. According to the security Bijay Thapa, the gate was ripped off and the rods, chairs and locks stolen. “Our chalet was destroyed because of the earthquake that occurred in 2011. After that I only did my job till evening as for there is no place to stay at night,” said Thapa who at his interest has booked a complaint with the Kalimpong police station. A lady who resides the incident site requesting anonymity said that the lights have been missing since a long time and the park have been a hub for the drug addicts. She added that the park saw a gradual deterioration in the last 4-5 years. An authority of parks and garden wings of the GTA here refused to interact with the media because they have not visited the site yet. The executive engineer Sunita Thapa was also unavailable for comment.